"All good at this hotel!" Have a question for Miami Hotel? 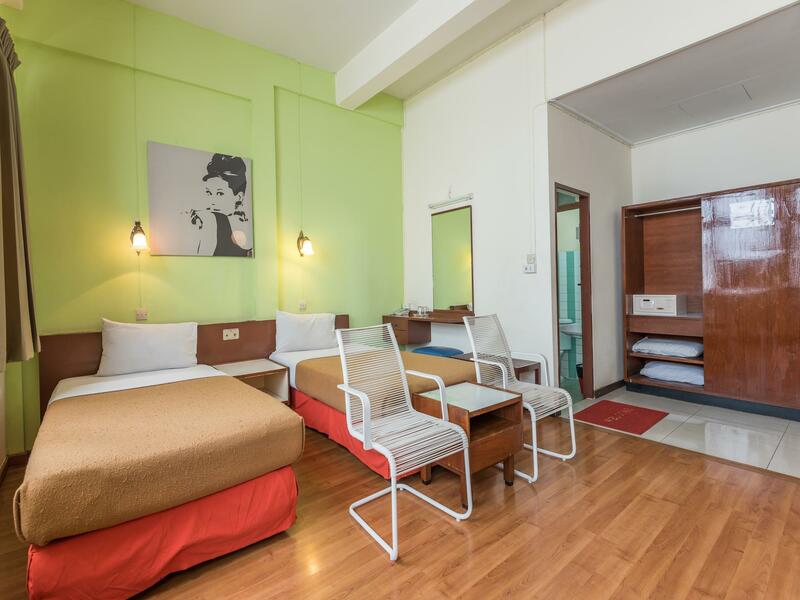 "It location in soi 13th, just a short distant to BTS Nana and Terminal 21, very convenient to go around Bangkok." "I would stay here again anytime ." 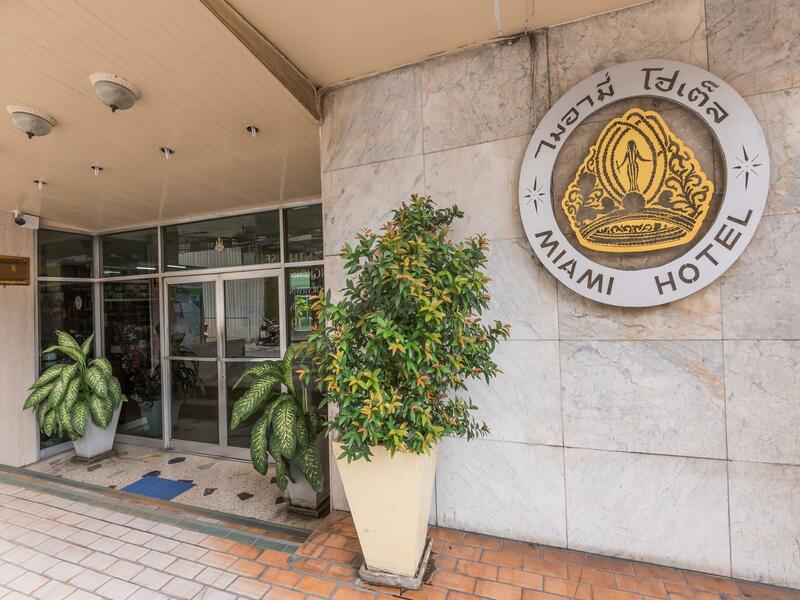 With excellent location ratings, the Miami Hotel allows you to easily enjoy all that Bangkok and its surroundings have to offer. This hotel is near Narry Tailors, Marty's New Fashion, St. Marco Tailor, Liu's Bootery, and Louis Collections. Offering guided tours, it is a great spot to stay to learn about your surroundings and see everything you can while you're here. With safety deposit boxes, a salon, a convenience store, a selection of shops, and a currency exchange, it has numerous convenient features to make your stay more comfortable. 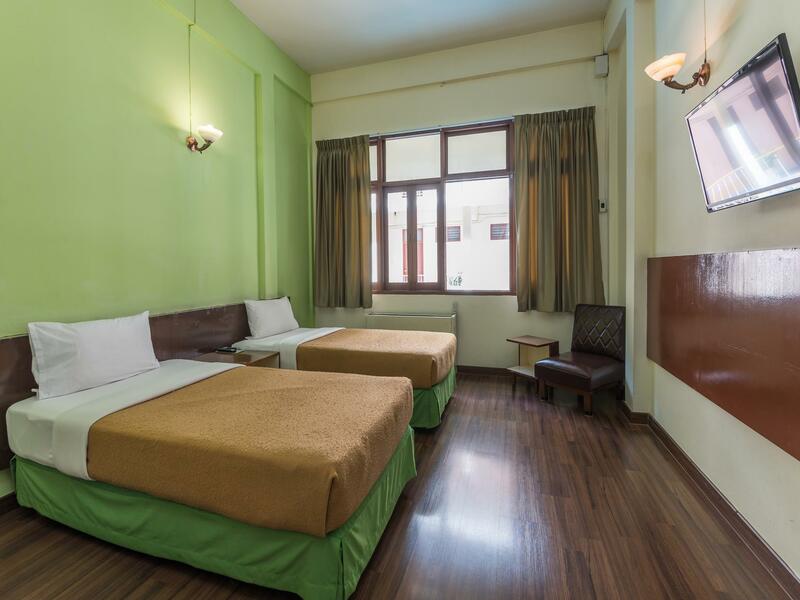 It features family rooms, providing adequate space for your whole family to have a good time together. This hotel has an outdoor swimming pool, a spa, and ticket services, among other fantastic facilities. It offers a bar, room service, restaurants on the property, and vending machines, so you can stay in or grab something small to munch on. The Miami Hotel has free Wi-Fi in all rooms, as well as Wi-Fi in common areas, so guests won't have to worry about buying a local sim card. 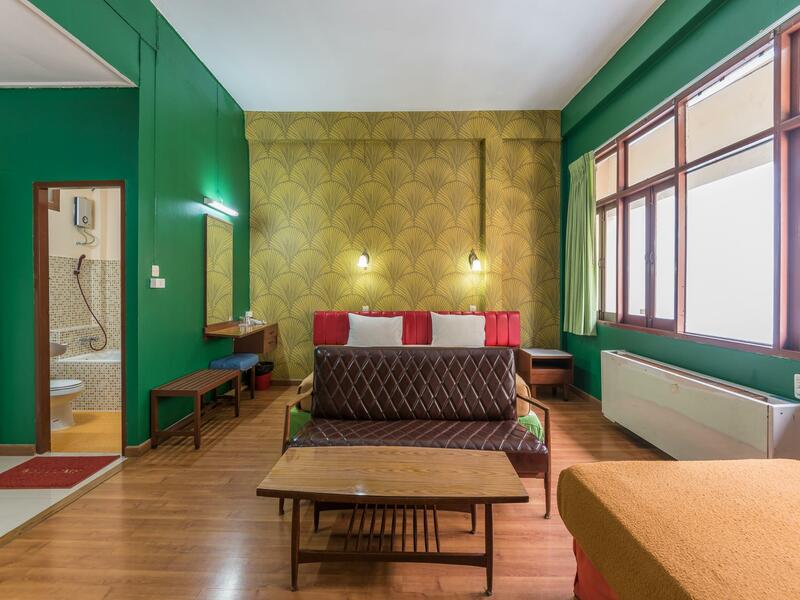 All of the rooms come with air conditioning, an in-room safe box, a bathtub, and linens. They also have a closet, towels, a clothes rack, a refrigerator, and more. The hotel provides a range of useful services, such as a concierge and dry cleaning services. With pet-friendly facilities, it is great for guests who wish to take their pets on vacation with them. The Miami Hotel provides around-the-clock front desk services, so there is always someone on call to assist with any questions. English, Filipino, Thai, Burmese, and Khmer are spoken at the hotel. The Miami Hotel has an assortment of transport options that include airport transfers and taxi services. Nana BTS Station is 240 m away and Asok BTS Station is 450 m away. The nearest airports are Don Mueang International Airport (DMK) and Suvarnabhumi International Airport (BKK), which are located 20.1 km and 21.6 km away. The Miami Hotel provides a 24-hour check in and check out service, allowing you to arrive at the time that best suits you. An extra bed is not available at this property. Children under 6 years old stay for free if using existing bedding. Two children will be considered as one adult. Plumbing is an issue with the toilet. But good location and staff went out of their way to get an extension cord as there was no plugs close to the bed. Pros- Charming and well maintained hotel from an older era. 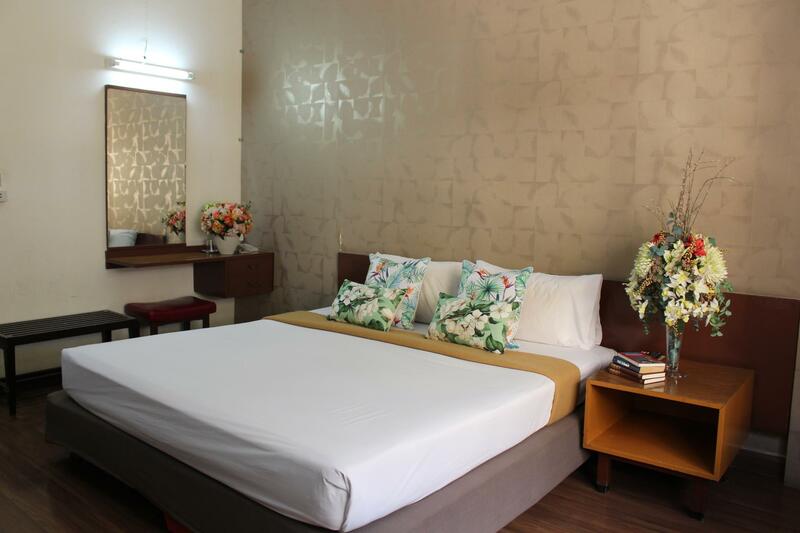 Great location near all conveniences (bts, mall, restaurants..etc), very large & clean room (ask for rooms away from soi 13 side or the "quiet side"), good wifi and decent cable tv selection. The staff was VERY nice!! Cons - miniature ants in the bathroom, but they weren't much of a problem elsewhere. If for shopping or entertainment ambitions, all locations are near: Nana Station and Asok (MRT and LRT) just a few minutes to walk. The hotelrooms are renovated now, everything is clean and new] modern aircons have been installed. I have stayed here a few times now without any issues. Its old but the staff are constantly cleaning and maintaining and are very friendly and helpful. Its absolutely no frills and very basic, fridge but no mini bar water and cleaning everyday. Its as simple and easy as you can get. perfect central location near basically everything. At a decent price with nothing to fancy, its perfect and it has an amazing pool and out door area.... I love it. The stay was very comfortable.. The room was spacious, clean and tidy though the bedding was old.. The swimming pool has been also maintained well. The staff and manager at the reception were very welcoming in nature and helped me book a day tour also.. Only negative was a noisy aircon.. The noise was just too much during the night.. I always syay at this family run hotel as it is safe and the location cannot be beat. Rooms are all nice and overlook pool. Friendly accomodating staff. Wonderful 1965 mural (italian infuence? )beside pool well worth a look and is somewhat historic and quite beautiful. I always have had a great stay at the Miami. Great location , very clean , friendly staff and real value for money. Along side they got a lovely little pool. Which is a great bonus. Long may they continue. Raymond Murray Ireland. Walked in and reception tired but staff ok. Got shown to our room along which looked like a prison balcony. When we was shown our room it was like walking into a prison cell it was so basic no kettle just aloud tired room which looked like it had been painted by a 6 year old paint from the walls all over door frame. We walked straight out and booked out we was asked why we did not want to stay and was asked how they could improve the hotel I told them it needs demolishing. We lost a nights money but there was no way we could stay in that place. Found another hotel just down the road that was nice and very comfortable and cheaper. The hotel on website looks nothing like the room we was booked into.